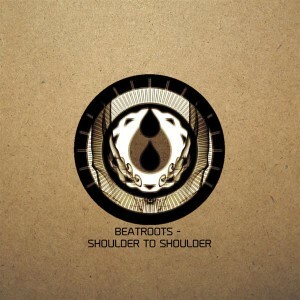 Shoulder To Shoulder, released on Triple Drop Productions, celebrates the beginning of Beatroots, a new project from Saxon Higgs, the man behind Brujo’s Bowl. Focusing on the deep, soulful side of drum ‘n bass, Beatroots experiments with the lower frequencies, seeking to uncover the emotions that dwell within the tight, satisfying rhythms and warm sub bass. Keep your ears peeled for more! Mastering, production, and artwork by Saxon Higgs @ Brujo Media, Triple Drop Productions HQ. MP3 Download | FLAC Download | WAV Download · Download count: 10,140. I already grabbed this from Triple Drop but it’s nice to discover an exclusive track here. Soulful music indeed, and warm. Good tunes and sub frequencies through body feeling. Great work. The first one is so addicting. Rest, too. Mindblowing work once again, Higgs. Great sounds as always from a solid and consistently good producer. Bridging the gap between subgenres with this niche sound!